Summary: The Patient Protection Affordable Care Act (PPACA) seeks to provide accessible affordable care to more Americans. However, the ripple effects of the sequestration (to Medicare patients undergoing cancer treatments) are in direct contrast to these goals and principles. 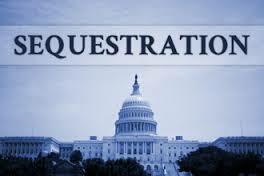 Let’s start with the basics and talk about what sequestration means. We are starting to see the impact of these spending cuts in a ripple effect. One of the areas of concern is the treatment of cancer patients who are covered by Medicare who are treated in clinics. Medicare cuts were issued as 2% across the board and primarily affect Part B and Part D. Chemotherapy treatments are very costly. The Medicare cuts have created the ripple effect of cancer treatments in clinics too costly for the clinics to remain profitable. No longer accept Medicare patients – currently approximately 60% of Medicare cancer patients are seen in a clinic setting. With this potential loss of patients, will the clinics be able to survive? Will hospitals be able to absorb the influx of patients? Currently about 60% of Medicare cancer patients are currently being seen in a clinic setting. 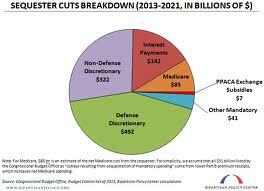 Does the sequestration make sense as it specifically relates to Medicare cuts? The PPACA was designed to provide more affordable and accessible care to more Americans. If cancer patients are being turned away from clinics, isn’t this in direct contrast to what the PPACA is trying to accomplish? Is it worth jeopardizing the care of Medicare cancer patients? Shouldn’t patient care be first and foremost? Will we see a rise in cancer patients and deaths attributed to cancer? We would love to hear your comments.